From drug possession to tax fraud, city officials in Washington, D.C. are notorious for being less than law abiding. In the past four years half of D.C.'s top government officials, including D.C. councilmembers and the mayor, have been under investigation by either federal authorities or the D.C. board of elections. Two have resigned and two have served prison time. Another name was added to the ever-growing list of indicted district leaders this week when D.C.'s council chairman resigned and pled guilty charges of bank fraud. 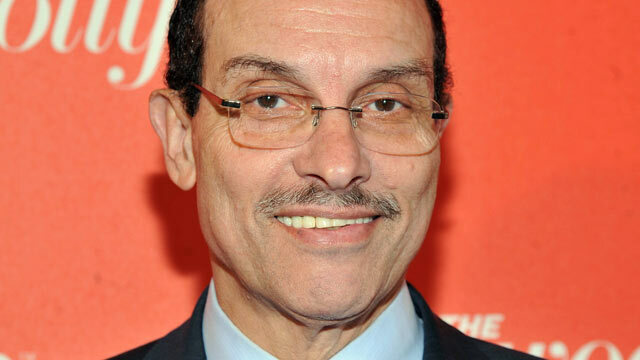 While Mayor Vincent Gray insists he does not "think there's widespread corruption here," here's a look at some of the politicians who are running the nation's capital city and racking up federal charges in the process. Charges: a felony for bank fraud and a misdemeanor for "unlawful cash campaign expenditure"
What happened: Brown pled guilty on Friday to overstating his income by tens of thousands of dollars on a bank loan application to qualify for a home equity loan to buy a boat, according to charges filed Wednesday with D.C.'s district court. 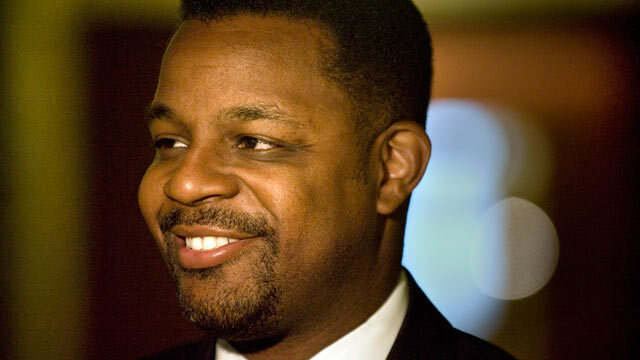 Kwame was also charged with a misdemeanor on Thursday for allegedly failing to report $170,000 in campaign contributions that were held in a "side account" during his 2008 campaign. Past Controversies: Brown's tenure as the second-highest ranking District official, behind the mayor, got a rocky start when the chairman ordered district officials to get him a "fully loaded" all-black Lincoln Navigator SUV to drive to during his tenure. When the SUV arrived with a gray interior, Brown demanded another vehicle with a black interior. D.C. taxpayers footed the $1,600 bill to rush a new Navigator to the District in time for Kwame's inauguration and are still paying nearly $2,000 per month to lease the SUV, the Washington City Paper reports. 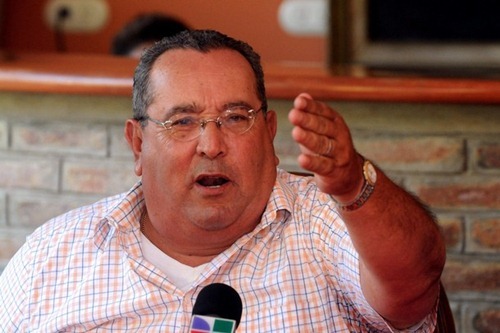 The District of Colombia is facing a $600 million budget shortfall for 2012. 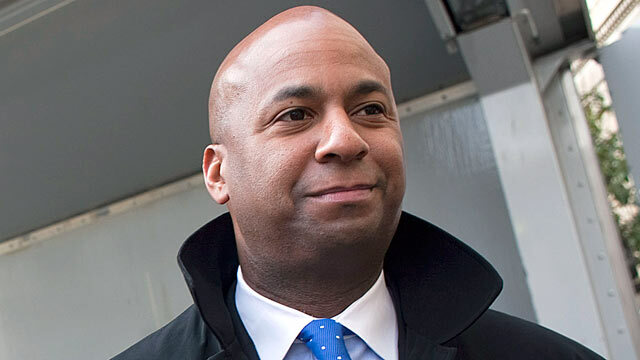 What happened: Gray's 2010 mayoral campaign has been charged with paying his fellow mayoral candidate Sulaimon Brown to stay in the race ito continue attacking his opponent, then-incumbent mayor Adrian Fenty, and thereby help Gray's election prospects. Brown says Gray promised him a job with the District if Gray won the election and paid him thousands of dollars in false money orders. Consequence: Gray has not been charged with any wrongdoing, but his campaign treasurer Thomas Gore pled guilty in May to obstruction of justice, a felony, for destroying evidence and three misdemeanor charges for making campaign donations under someone else's name. Gore faces 12 to 18 months in prison and a possible fine of $3,000 to $30,000. 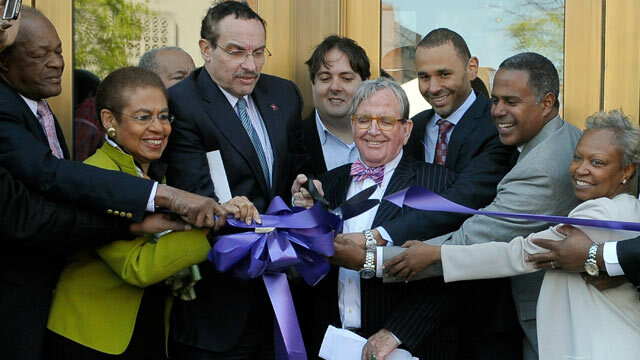 The mayor's campaign consultant Howard Brooks pled guilty to making false statements to federal prosecutors. He faces a maximum of six months in prison and a $5,000 fine. 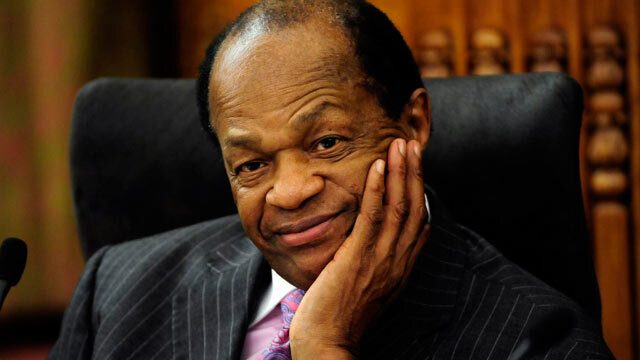 What happened: Marion Barry, who served as D.C. mayor for more than 20 years, pled guilty to cocaine possession after he was caught on video smoking crack cocaine in a Washington hotel room. Barry served six months in federal prison and was re-elected to another term as mayor after his release. 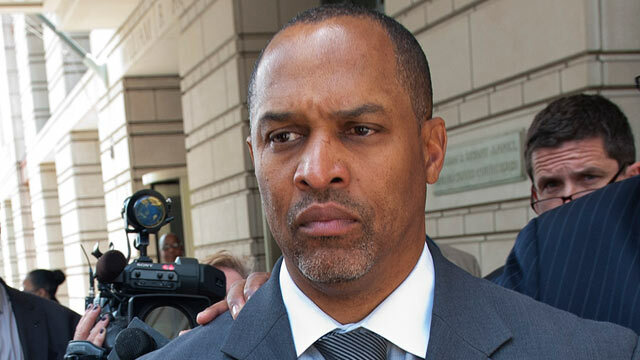 D.C.'s "Mayor for Life" has also been found guilty of a misdemeanor tax charge for failing to pay the majority of his income taxes during the five years after he left office in 1999. Authorities dropped misdemeanor charges for allegedly stalking his ex-girlfriend and having traces of marijuana and cocaine in his car. Consequences: Thomas resigned his city council seat in January and was sentenced to 38 months in prison. What happened: Michael Brown seems to have a problem paying his taxes. Last year the councilmember owed more than $14,000 in unpaid property taxes and nearly as much in unpaid income taxes. The IRS filed a lien on his house in 2010 seeking more than $50,000 in income taxes that Brown failed to pay from 2004 through 2008, the Washington Times reports. Brown is a leading advocate on the council for raising taxes on D.C. residents who earn more than $200,000. Consequences: Brown is on a repayment plan for his back taxes. 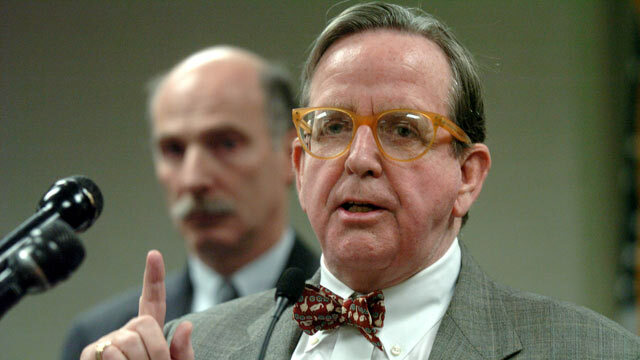 What happened: While Graham has not been charged with any wrongdoing, his chief of staff Ted Loza was sentenced eight months in prison for accepting a $1,500 bribe from a taxi cab industry representative while the council was debating taxi reform in 2008. Consequences: Loza pled guilty to two counts of accepting illegal bribes and one count of making false statements. In situations where money talks, everybody of a desirable interest would spare their ears to listen very carefully and where power and political influence seems to rule in a country, then this ultimately and inevitably becomes corruption’s playgroundtoo. We live in a time that is inhabited by some of the most corrupt politicians of the world. It honestly does not take much other than having persuasive talent, verbal ambition, valuable contacts in the right places at time and a heap of money to squander around loosely in order to master the art of bribing somebody in high places and to place them in a position where something dear to them would be threatened if they do not comply to whatever proposal you were brave enough to bring to their tables at short, random and unexpected notice. This is primarily more than enough to turn a good yet average and common politician into a corrupt individual that is ever ready to bask in the life of ‘white-collar’ crime. In this fast paced world, there are many corrupt individuals who are notoriously famous for their illegal and unlawful deeds at the cost of state taxes and other funds that don’t belong to them. Situations of this nature has spread throughout the world and isn’t uncommon in most cases. 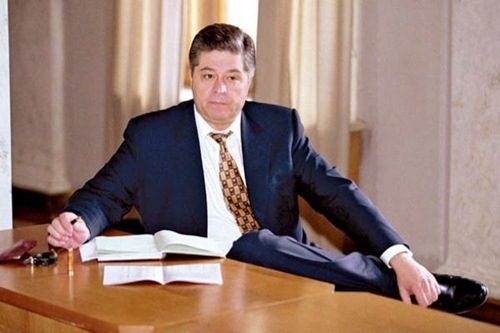 Below are 10 of the most corrupt politicians of the world. You may already have prior knowledge of some of them, however it’s time to bring to light about these politicians darkness that they have been shadowing in for the duration of their seats in their cheated positions until being exposed and de-badged of their statuses. At the very beginning, before he has been officially elected as president, he used the art of manipulation to create a “land of make believe” by using the poverty circumstances of the majority of the Philippines against them in order to aid in his campaign and manifesto which obviously helped in his election process as he somehow predicted that , it’s the only way to gain the respect and voting favor of the lower class first so that the higher society members could recognize him as being a true president that is there to genuinely improve the well-being of the people starting from the lowest to the highest in society. To his shame, there was obviously an ulterior motive behind his charade that he managed to put on as his won the votes and has been elected as president of the Philippines in those years. 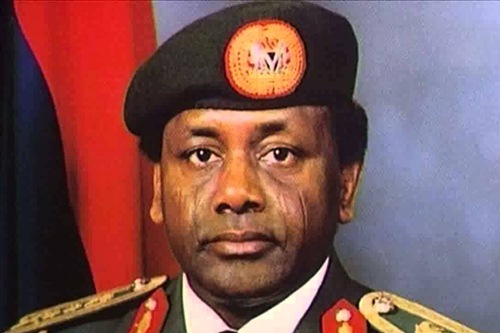 Joseph now counted among the most corrupt politicians of the world, had started off as an Actor in his early life and no wonder he was able to pull this off successfully in deceiving the people who genuinely believed and saw a ray of hope in him. Joseph Estrada has been corrupt since before he even became president, and sadly the Philippines were too vulnerable to see it. 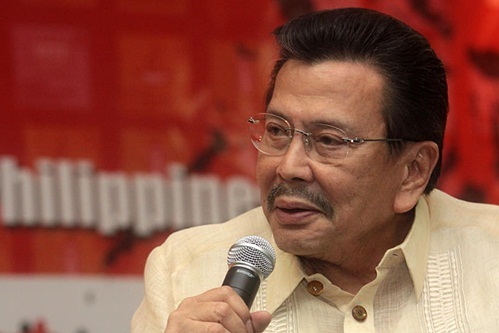 Joseph Estrada has been accused and brought to books and is believed to have taken more than $80 Million in bribes and corrupt dealings. Being the 81st President of any country should be a huge honor to every Man, regardless of how many Presidents were before you, the ‘President’ title simply means, head of the Nation, Leader of an entire country, World recognition, being an official part of a country’s history etc. However some people seem to not realize the novelty, importance, honor and integrity of their Presidential titles and tend to abuse the privileges handed to them by the state. Presidents are under oath too, however for some people like Arnoldo, all this doesn’t mean as much as having all of the world’s rich’s that exceeds his pay which was bound to spark and arouse suspicions. Aleman has pursued the career of being a Lawyer before presidency and that alone should tell you that his Oath and promise to the law, the country, should have been stronger than ever. We may give credit to his personal success as a lawyer, then running for Mayor of Nicaragua and then President and then one of the most corrupt politicians ever! Quite an outstanding and successful career development in politics and business too and the perfect way to be sentenced to 20 years of imprisonment for corruption by the embezzlement of more than $100 Million from Nicaragua’s Treasury. The common pattern amongst each of these corrupt organisations or individuals is that each one sets a trend that goes higher than the last corrupted individual. It’s strangely almost like a competition of who can steal the most amount of money or be the nations most corrupted politicians. It is rather amazing and stupid as well, what some individuals would to do gain a place in the history of the world but for the wrong reasons. Pavlo on the other hand seems to have done extremely well in his illegal and unlawful acts during the duration of his time as just a mere PM (Prime Minister), not even the President in this case. Still regardless of being the Prime Minister, it was in Pavlo’s plan to use the President as a shield or to divert all attention from him, so that he could continue to go on his quest for fraudulent activities that are to the estimated corruption value of $200 Million which seems to have mysteriously disappeared and later revealed that part of it has been used to sign a$10 billion dollar deal abusing Office rights and terms .Most definitely creates a big Title on the forehead of Pavlo to have been one of the most corrupt politicians of the world to have been able to sneak a value of $200 Million under the carpet or out of the visibility of authorities concerned. A funny name this man has, but a clever mindset, cleverer than all his other corrupt pals thus far as the amount estimated in his corruption ranking value is rather staggering. Corrupt Presidents among the most corrupt politicians, isn’t an uncommon thing in this case ,it’s just that some of them are a little bit more intelligent in their corruption parades that they were able to milk more out of the state, than the rest before they’ve been brought to legal justice. 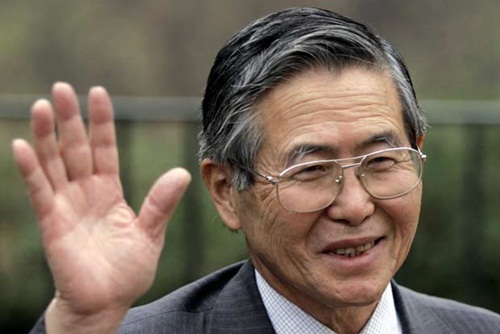 Alberto Fujimori is of an Asian descent which primarily means disciplined, sharp witted, and intelligent as well as mentally sharp since they have that Asian blood which is known to the world for their attention to detail type of style in everything they say and do which ensures order and precision in most cases. In the Case of Alberto Fujimori however and his corruption In Presidency has gotten over his ‘head’ of the Nation accolade. It doesn’t mean that if a man is dressed with sharp suits, speaks in polite speech mannerisms and carries himself out with professionalism in the public eye, that he won’t be capable of corruption to some hectic degrees, kidnapping and murder As well as guilty by court of law in his act of ordering death squad Military men to do the dirty work of kidnappings and killings during his presidency and with an estimated fraud value of $600 Million stolen from the state. We all know that action star, Jean – Claude Van Damme has been the bad boy dominating the Action Genre of Hollywood since the 80’s and there was only one of him. Jean – Claude Duvalier on the other hand, obviously tried to imitate this actor in reality due to his first name being the same, and very humorously couldn’t come close it seems. Some people in power have seem to be waving the flag of a common trend that having “President” title simply means “I own everything and everybody In a country” and this is where abuse of power gets to best of their morality and beliefs and basically everything else changes once somebody comes into full power and control, it wouldn’t be very long until their power is taken to head where everything is now swindled by their intimidating and authority figure finger. Duvalier is one of the most corrupt politicians ever. 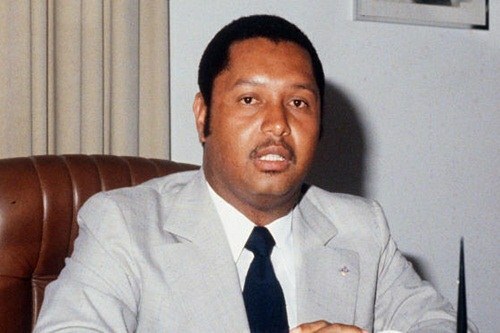 Everything seems to point in the direction of corruption from here onwards.” Like father, like son” they say and seems as though Papa Duvalier, the father of Jean – Claude Duvalier has been terrorizing Haiti for more than a decade to which the name struck fear In the locals. A man that claimed to bring about an economical revolution to Haiti’s starving population, felt nothing to embezzle between $300 – 800 Million during his time in office. Surely one of the most corrupt politicians of the world. Nigeria as it stands to the world is automatically classed as a war torn country and quite frankly, who could blame the world for thinking so lowly of them when civil war seems to be so popular, the locals are somewhat getting better at it. War torn countries, require a leader that can turn an entire nation around, command in operations of war and actually win at it to protect the name and people of a country. Not every leader appointed and elected into Presidency or parliament or a high profiled position in a country sees for the actual needs of the people and meets demands of what needs to be changed urgently for the better of those protesting legally for it. There will always be a need of self-improvement , personal greed while the rest will suffer dearly and that ultimately becomes the major downfall of every country thereafter where as bad as things are as it is, will become worse after a man so called ‘leader’ like Sani Achaba who is often regarded as one of the most corrupt politicians, could steal around $4 Billion into personal private accounts as well as Jewelry to the value that could supply a 100 years salary to the average Nigerian. Which was ‘attempted’ to be stolen from his residence by robbers that police have discovered and ironically though after the immediate shock of his death, his wife tried to flee with 4 suitcases of stolen money also. This is where hilariously, the robber gets robbed and that too, by his own wife. Its more of a comical act of fraudulence rather than a clever one. Mr. Achaba earns himself the title of one of the funniest corrupt politicians that the world has seen. In terms of fraud, one could ask oneself, what is the limit that somebody could reach in terms of the amount of money they could take from the country without being caught and for how long can they pull this off? There must be a certain genius behind this as it isn’t as easy as mugging a homeless man on the street of his last Penny to steal from something as large as an entire Country. 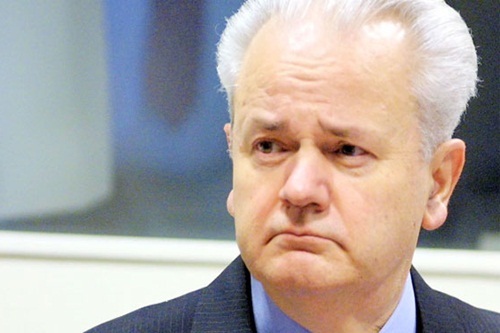 Mr. Milosevic however has gone beyond just money fraud in this case and has been convicted according to BBC’s report of some high profiled killings and being the head behind assassination attacks, killing of witnesses or people who were brave enough to bring him to justice. Plus he’s also one of the most corrupt politicians on our planet. Power driven men, know no extremes in terms of where they Power boundaries are when in office or in Presidency as they sincerely believe that they control and own everything that the country has, including the people, where human rights and constitutions are just pieces of paper with fancy writing on it since none of these seem to genuinely matter when they are committing fraudulent acts themselves and in this case, not in small petty numbers as this one really reached the extreme fraud bars. $100 Billion shelled out to compensate for campaign bombings that took place and causing collateral damage to this estimated worth and figure is no joke and certainly not a child’s game. Presidents are supposed to bring about peace in their countries and not inflict war with others. All this by the handy work of one man and his accomplices, Slobodan Milosevic who even notoriously earned himself a Street named after him. From this point on, the story of fraudulent acts become interlinked with each below this rank, as it seems that the next 2 rankings below Mobutu Sese Seko has been interlinked and confirmed as accomplishes that were involved in what is estimated to be a $50 Billion 3 Man scorn from all 3 of the Countries that these men represent such as: Zaire, Philippines and Indonesia. This is actually the sum equal to the yearly budget of the West. How the 3 men managed to pull this off is somewhat of a mystery, let the other two remain a mystery for now. 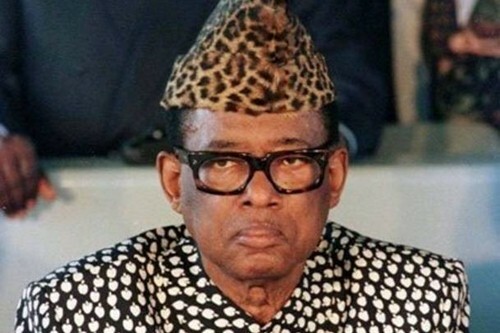 Mobutu Sese Seko is ranked among the most corrupt politicians in the world and part of the 3 man tag team cross country in their reign of ‘joint -venture’ power-man fraudcommitments and dedication, has personally been reported to embezzle an estimated amount of around 12 Billion by himself. These figures certainly don’t lie and isn’t exaggerated either. As part of the three Musketeers and why we call them ‘Marketeers’ is due to their ability to put on a reputable and accountable appearance to their public of being respectable Leaders of the country until that mask comes out and the Robbers are revealed, its not inappropriate to call them “masked robbers” either. And with this Mask they sure did create a Phantom of their very own Opera (dramatic play). Yes! You’ve guessed it. Ferdinand Marcos (Former President of the Philippines) is Mystery man 2 in the 3 man joint venture of billions to be estimated amongst each other with regards to their fraudulent acts. It seems as though the Philippines, sure knows how to elect their Presidents, only to shoot themselves in the foot, not once but on two very unwise choices of Presidents. Making the same mistake twice is considered as insanity, but then again, who are they to know whose going to rob the entire nation until it happens. 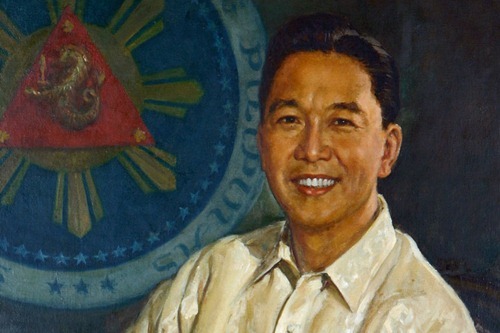 Ferdinand Marcos has been reported to have stolen $5 – 10 Billion of his own as well during the years 1972 – 1986 In his time of Presidency. He came second in our list of most corrupt politicians in the planet. 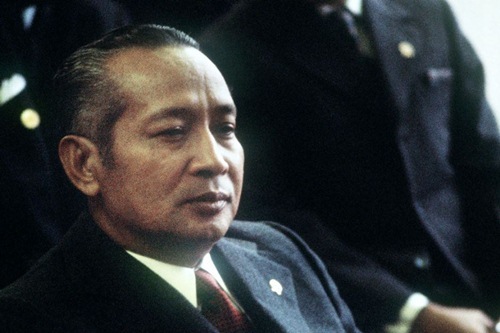 Mystery Man that Ranks number 1 on the list of the most corrupt politicians in the world is Mohamed Suharto seeing as because his managed to top the cake with a shiny looking cherry of being able to take more than his joint venture pals (Mobutu & Ferdinand), ‘M & F’. The value that he is worth in the estimated value of notorious Presidential Fraud, it actually deserves a Campaign or Game show of its own where the winner of who can embezzle the most out of a country wins and Mohamed Suharto seemed to have won it big during his 30 Year Presidential duration of Office in the Country’s highest seat. During this time of Presidency, it would have obviously given Mr. Suharto more than enough time to take a few billions for himself and to absolutely no surprise did he surpass the fraudulent amount of the rest reaching a staggering figure of $15 – $35 Billion in stone cold hard assets and Swiss accounts that were ‘perfectly legal’ in terms of its existence, but yet again, where money talks, the corrupt ears will listen very closely and so it has been pulled off. What makes Mohamed Suharto Thee most corrupt politician of the world isn’t just because of his fraudulent rank rate being the highest in personal embezzlement but due to managing to put up a decent, honest and upstanding Leader of the nation for 30 years. A man that long in Presidency can be accused even without evidence for fabricating votes every now and then or banking hard on Campaigns to make the greatest impression every year to the vulnerable people who were just forced to believe it. From a reader: Your article (on Donald Trump) was interesting to me, but not because it had anything to do with politics. Instead, I saw it as being applicable to relationships of all kinds, and perhaps particularly, to close personal relationships, including those with our families of origin. In other words, if you have to self-erase (pretend to hold opinions other than what you really believe, or to otherwise sacrifice yourself) in order to be safe in a relationship, it’s not a relationship that is truly to your interest. Tolerating non-virtuous relationships is a huge waste. As children, we had no choice. Thankfully, as adults, we do. Being authentic and real is hard for many people. They think they do others a favor by withholding their true emotions, even ones grounded in reality and defensible by reason. Then they wonder why they end up full of regret, insecurity, and even the resentment of others who feel misled by them. If you cannot be yourself in a relationship, then you’re not in a real relationship. You’re committing a form of fraud, first against yourself and simultaneously against your loved one. While your words need never be (and never should be) mean-spirited or designed to bring down, all one’s words ought to be honest and real. And it’s not mean-spirited to be truthful. In our political establishment, this issue has reached a bizarre and pathological level, because the whole system (both parties) is run by self-evidently corrupt deceivers. What almost nobody stops to ask is what got them there, and — more importantly — what keeps them there? The answer is the whole lie of socialism, on which our wealth-redistributing state rests. Robbing from some to pay off others and calling it “compassion” is nothing more than Mafia-like behavior sugarcoated with what passes for morality. Put simply, you cannot foster honesty and integrity based on a system of lies and deceit. Not in personal relationships, and not on the social level, either. What’s going on in Washington DC today is the equivalent of a relationship where the spouse or family member says, “I’m not doing this for me; I’m doing this for you.” And it’s all a lie. While we all can and must pursue our self-interests, we must do so openly and without deceit or phoniness. If our interests are out in the open and rational, it’s usually not a problem to do so. America is falling apart at the seams. It’s happening for the same reason individuals fall apart. Contradictions, self-deceit, evasion and rationalization are hard on an individual’s psyche. They’re equally hard on an entire society. To fix the political and social problems, we have to fix ourselves. Fixing ourselves means getting rid of the false idea that we’re entitled to anything — anything at all that belongs to another person. No more lies, no more rationalizations. No more threats, no more evasions. We are all entitled to the same thing, and to only one thing: The right to be left alone. Beyond that, society (i.e. other persons) owe us nothing. Until or unless most of us start to get this, we’re doomed. Once we face it, then — once again — everything becomes possible.